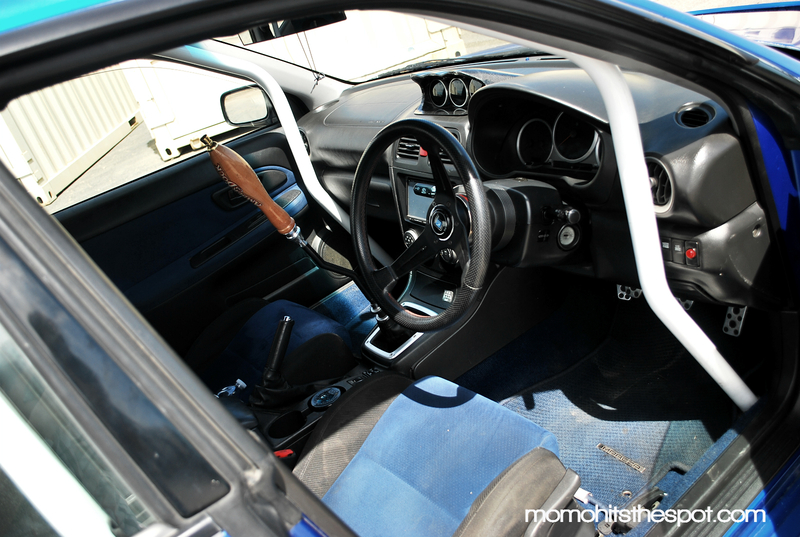 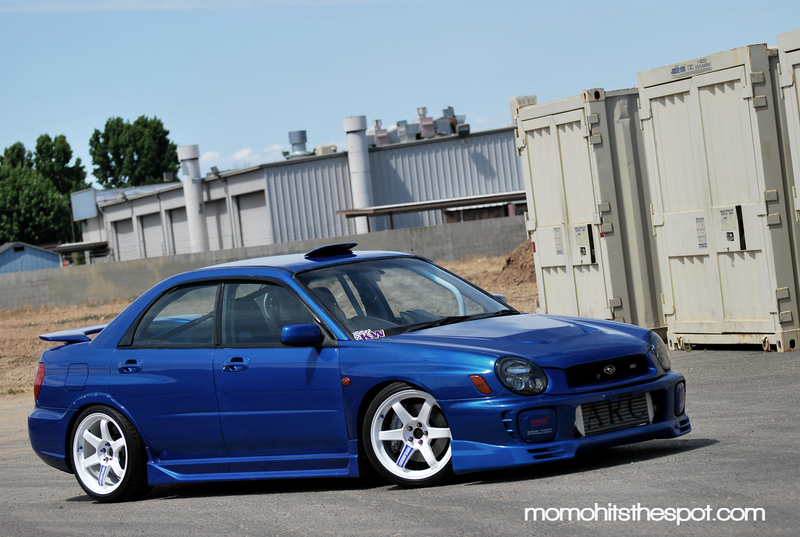 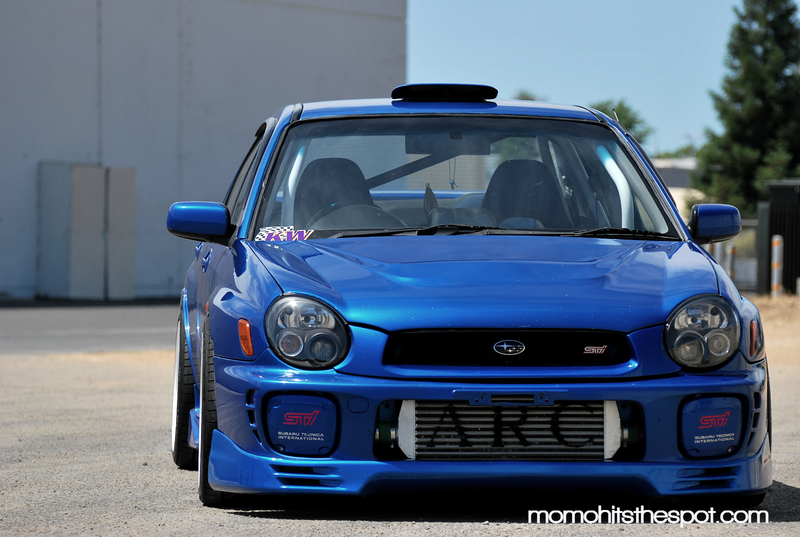 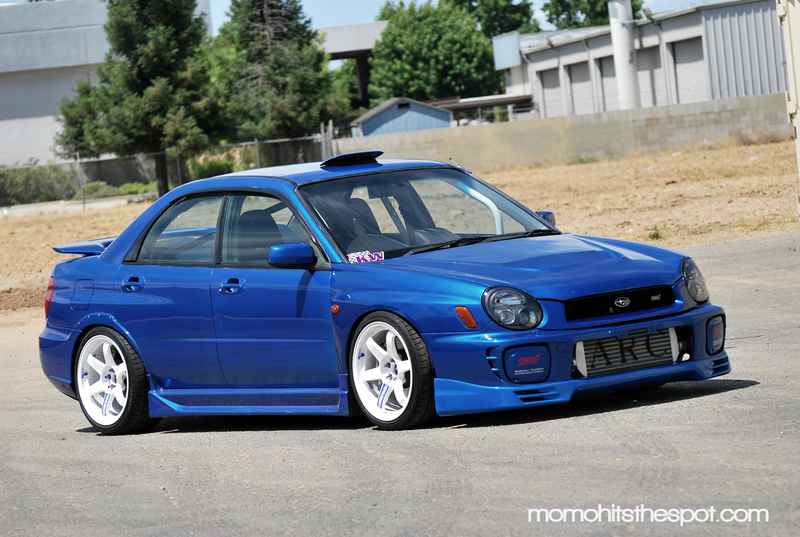 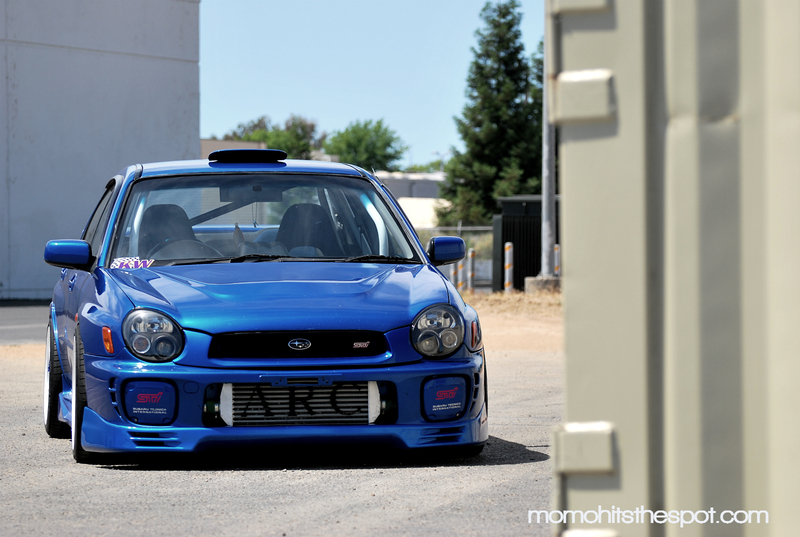 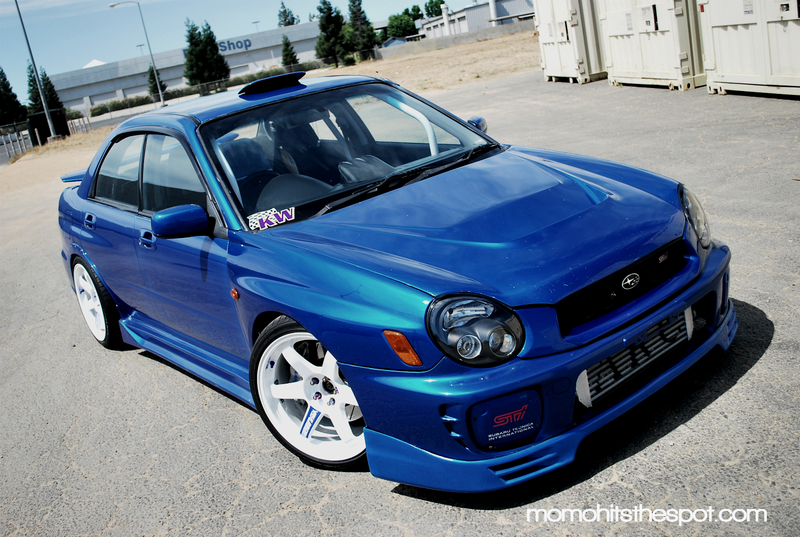 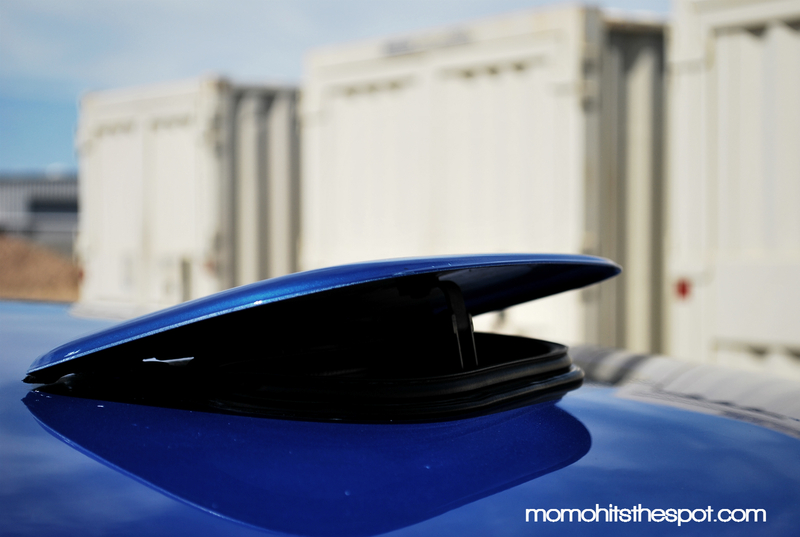 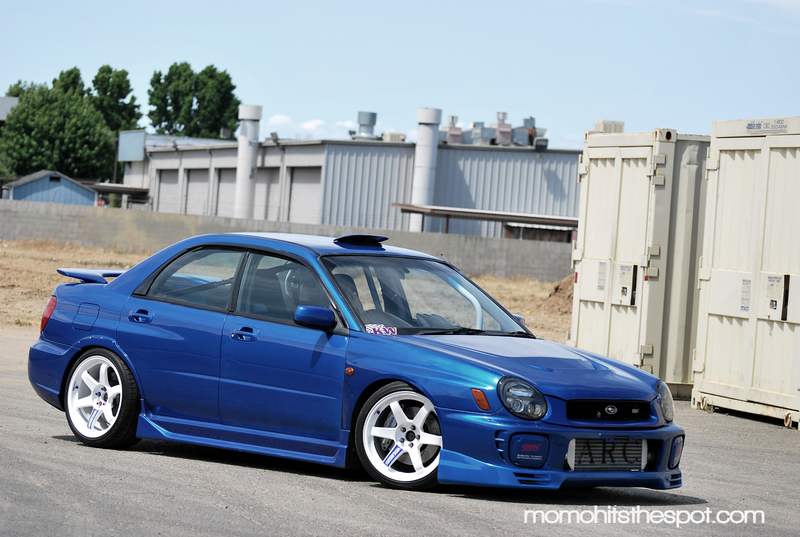 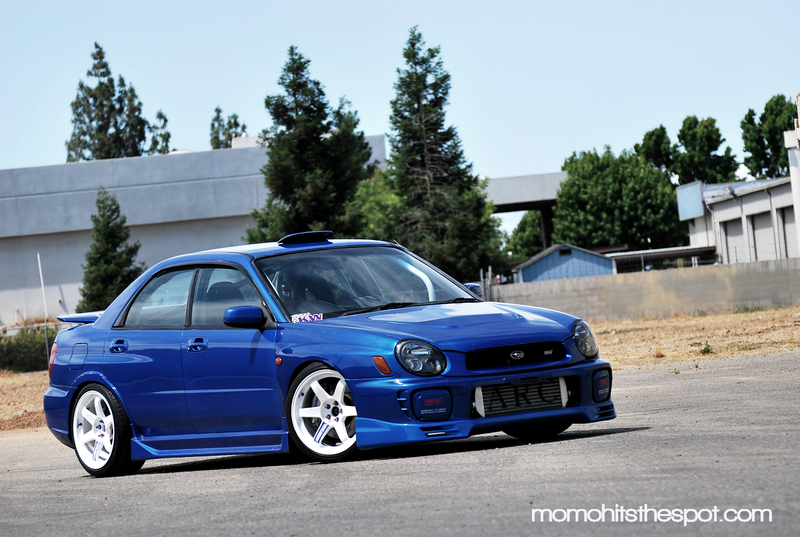 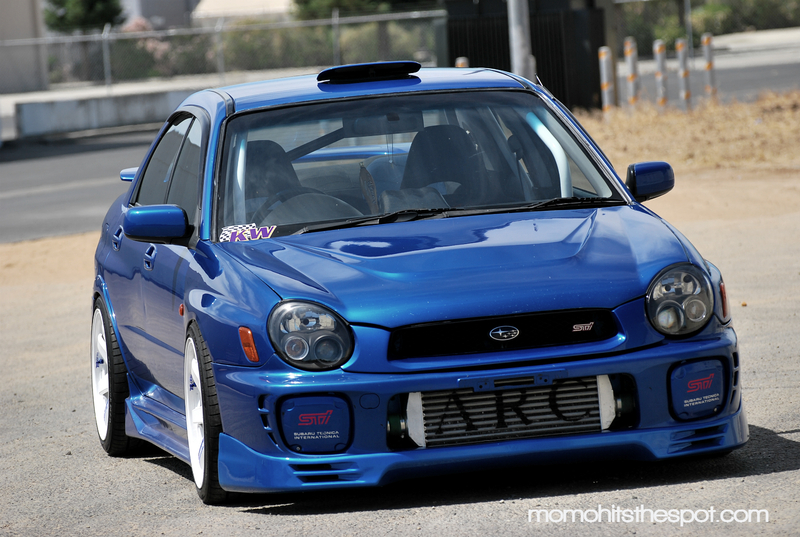 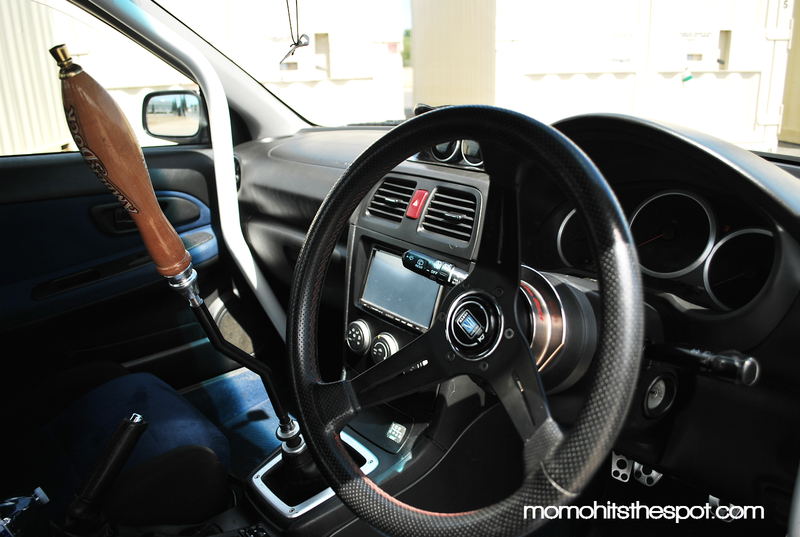 Redefining JDM: Chris Shuemake’s RHD Bugeye – MoMoHitsTheSpot! 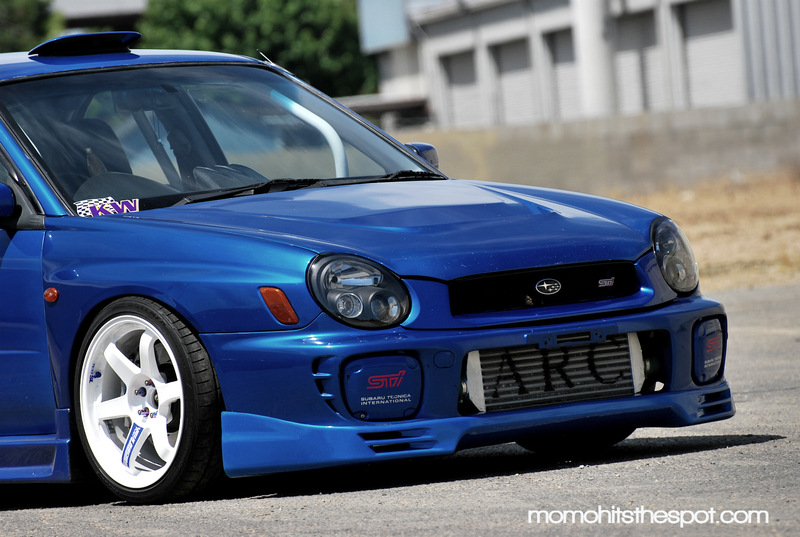 So, as the title suggests, I had the pleasure and opportunity to shoot this immaculate RHD Bugeye over the Memorial Day Weekend. 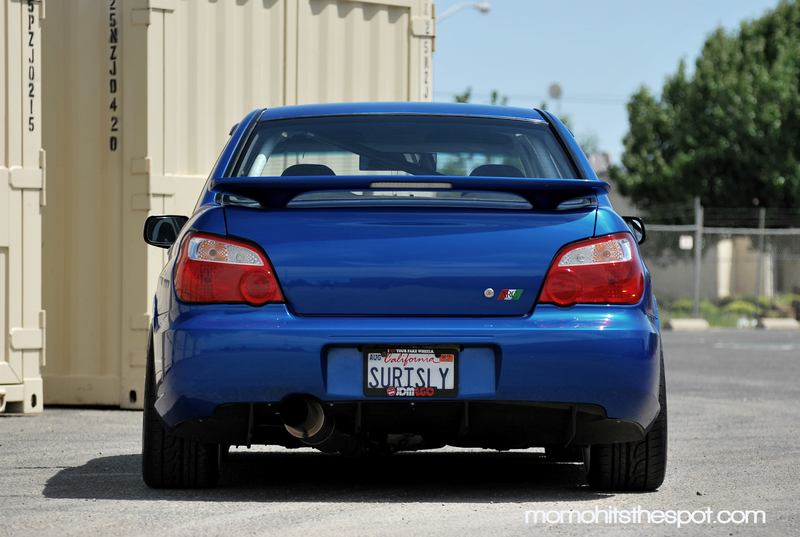 Unfortunately the sun was glaring down on us pretty hard, so I had to make due with the lighting that we had. 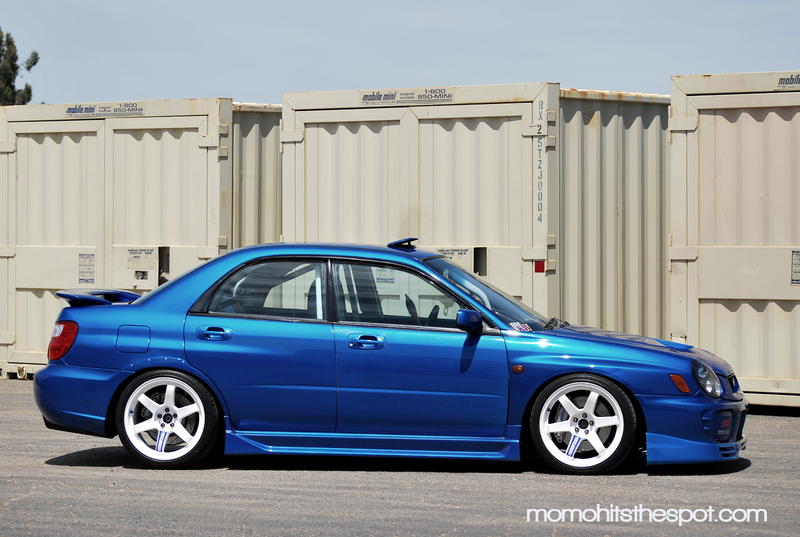 But the shoot came out good, so I’m happy with the results. 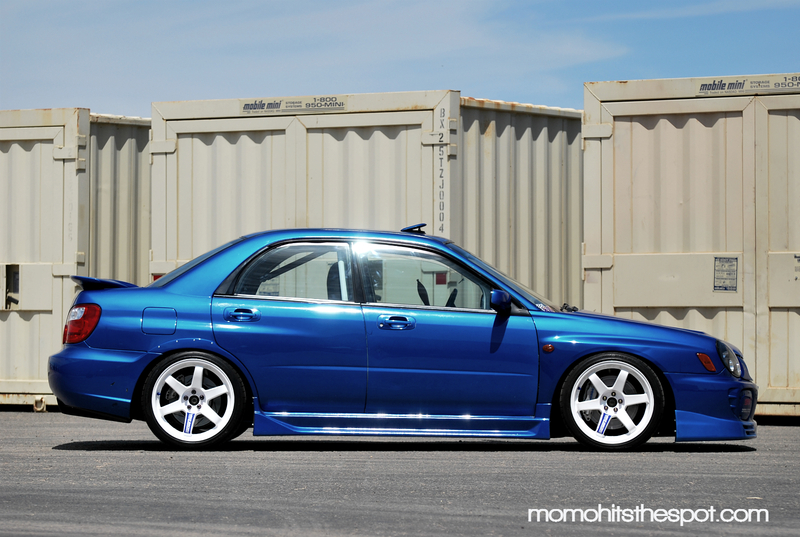 One of the things that I love about this car is of course, the RHD conversion, which is pretty much the ultimate step in JDM bling. 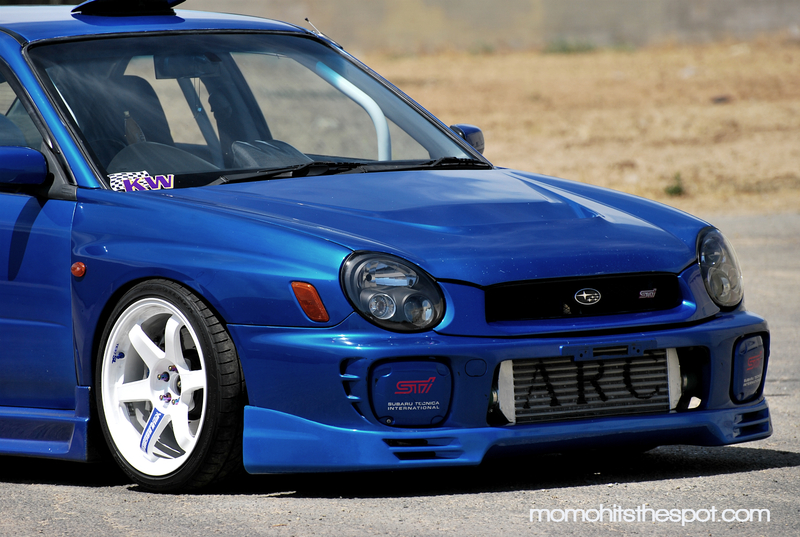 I was also told that this is one of the few if only fully RHD converted Subie, meaning there’s no spliced wires, missing RHD pieces or other gimmicks. 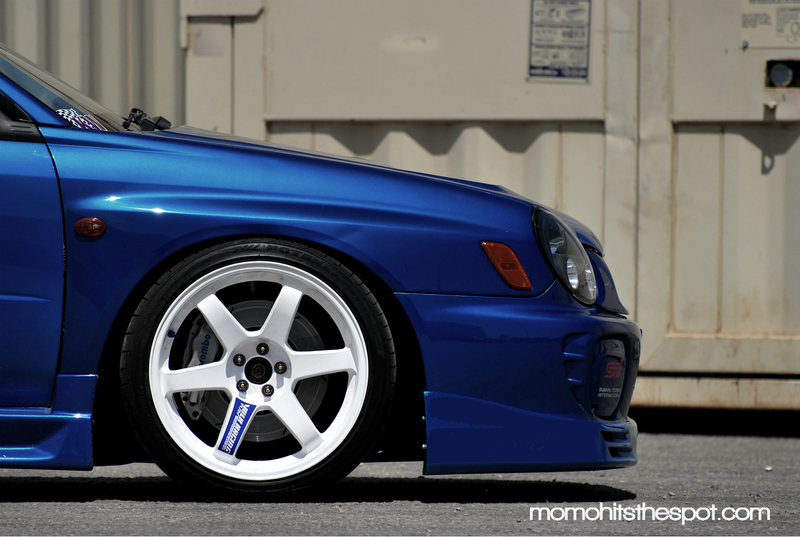 Truly a one-of-a-kind build. 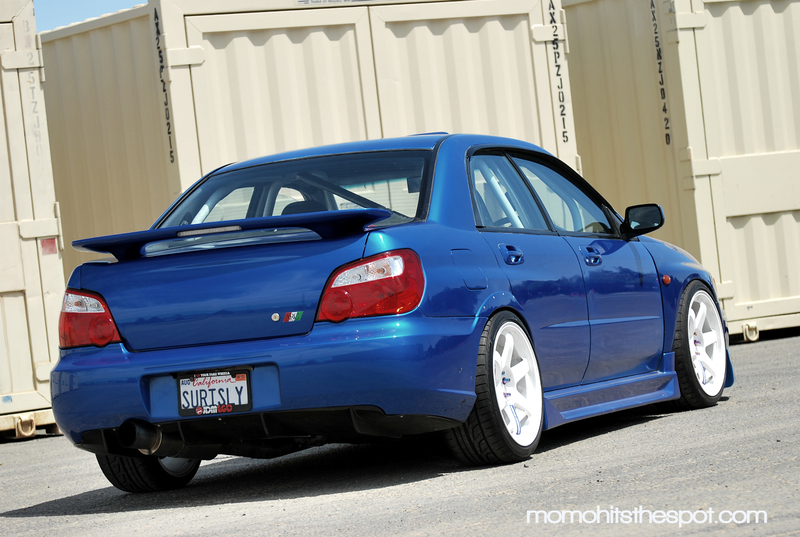 Another thing that I really, REALLY love about this build is Chris’ choice in using all authentic pieces. 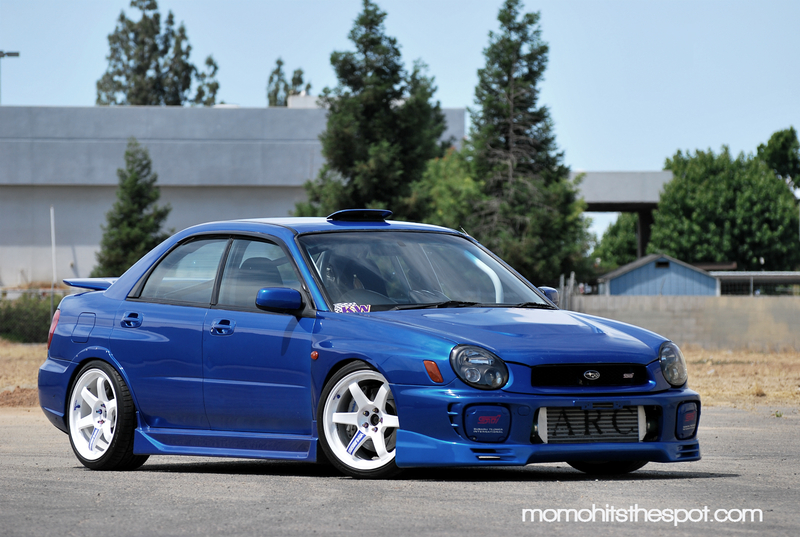 I mean, this guy has gone through over 3 sets of wheels in a set of Advan TCII (As seen in Import Tuner), a set of Enkei NT03, and now TE37SL.